I’m a sucker for gardens. I find there is just something magical about Europe’s grand palace gardens. From the Schonbrunn in Vienna to Powerscourt in Ireland, Europeans know how to set a spectacle. 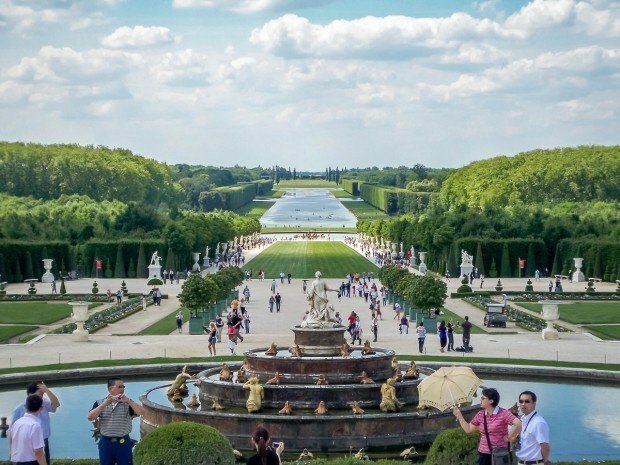 But there are perhaps none grander the Versailles gardens in France. There’s just something magical about strolling tree lined trails, magnificent walkways lined with flowers and ponds reflecting the deep blue sky. Before exploring the gardens, we visited the Palace of Versailles. 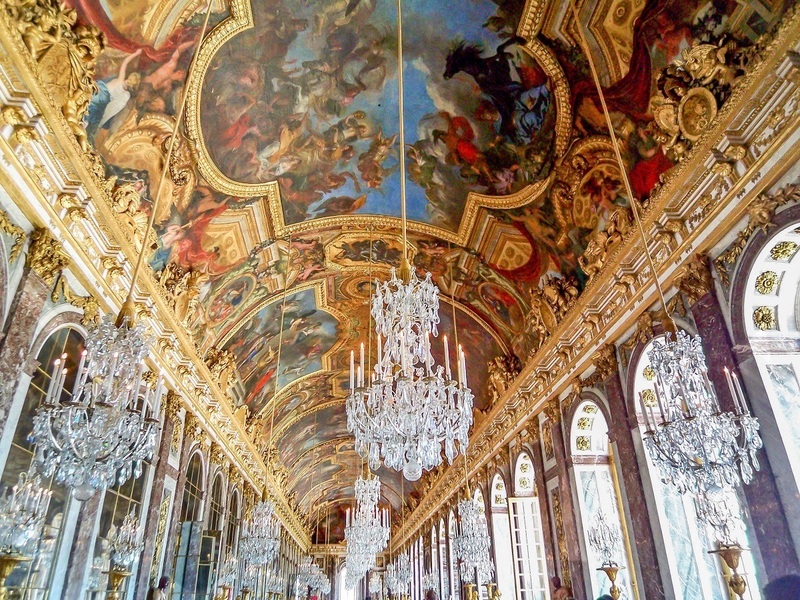 Inside the Palace, Versailles is impressive and stunningly beautiful. Initially begun in the early 11th century, the Palace went through rapid expansion from 1664-1710. This expansion coincided to changes in the French monarchy. For over 100 years (1682-1789), this was home to the French monarchy. Yet, this was an age of absolute poverty in France. Versailles became a symbol to those in poverty. It isn’t surprising then that the peasants rose up to do away with their monarchs. 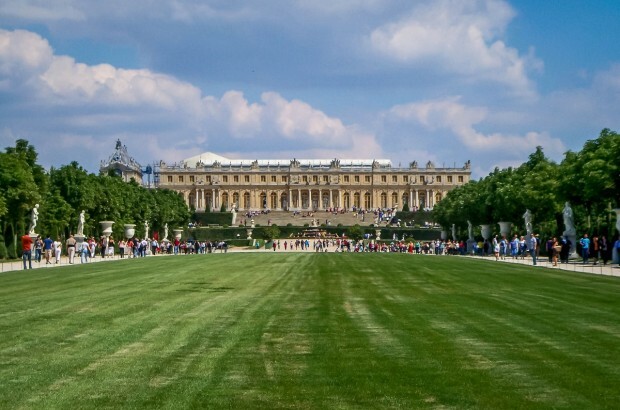 In October 1789, the royals fled Versailles when the peasants captured the palace and the grounds. Inside the Palace of Versailles, we toured the King’s Grand Apartments and eventually visited the grand Hall of Mirrors. I found the Hall of Mirrors to be breathtaking. This one single room has played host to the birth of a modern German nation as well as the signing of the Treaty of Versailles ending World War I. 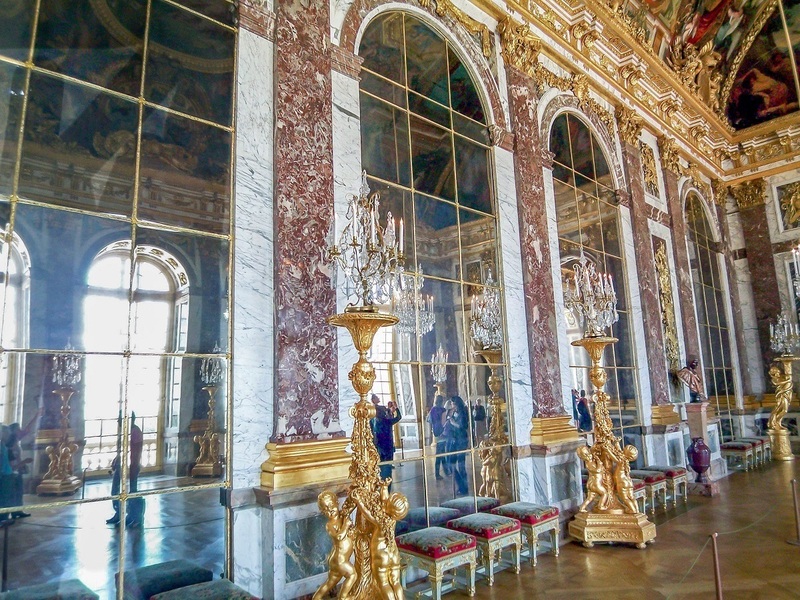 Visiting the Hall of Mirrors was humbling. 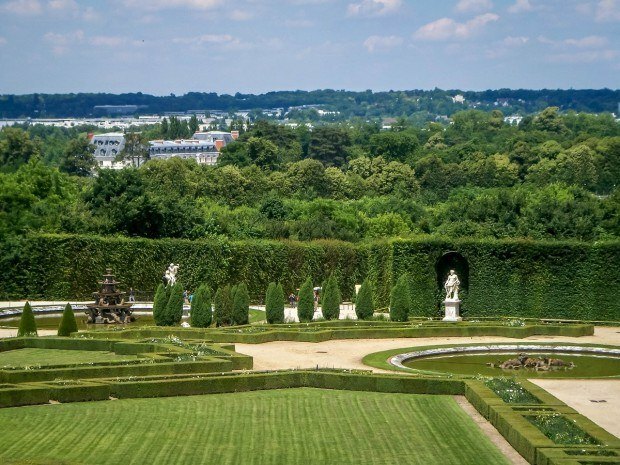 Yet, the grandest aspect of the chateau is actually the magnificent Versailles gardens. From the chateau, the Versailles gardens stretch all the way to the horizon. 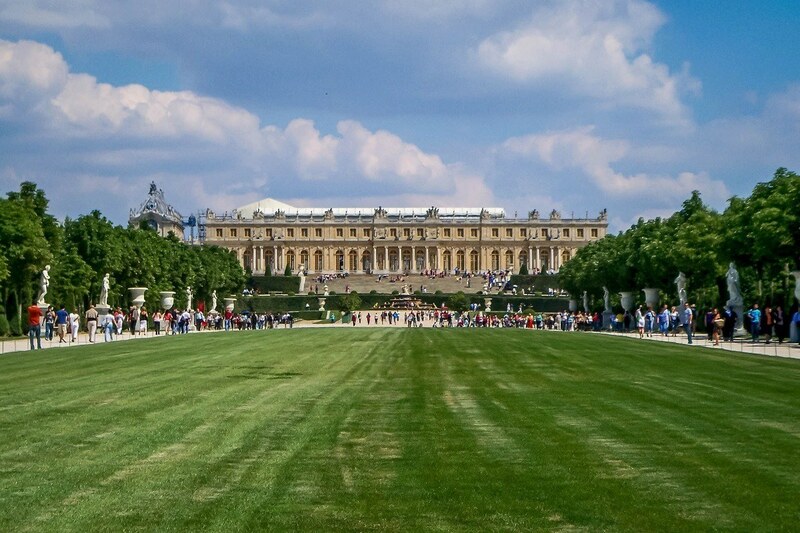 Begun by Louis XIV in 1661, the gardens have been improved upon over the centuries. The gardens now encompass the Orangerie, the Royal Path, and the Grand Canal. We spent several hours walking around the Versailles gardens and soaking up the beautiful ambiance. We got ice cream and sat down at the Grand Canal to enjoy the view. While sitting there, an older came up and joined us on the bench. As it turns out, her daughter lives in Boston and her grandson attended Laura’s alma matter. It was a lovely little chat and a chance for Laura to practice her French. 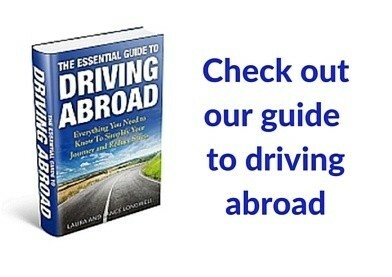 Guidatour: Visitors purchasing the Guidatour option can pay the extra fee and skip the lines. The lines at Versailles can be extremely long (over 2 hours the day we went), so this could be a good option. Guidatour only lets you skip the ticket line, you’ll still need to wait in the Palace line. Guidatour cost €20.00 instead of the normal fee of €13.50. Versailles Package Deals: Visitors looking for a more door-to-door service from Paris can be transported in luxury by private car/minivan. Other companies offer Paris to Versailles transit with audioguide (and they are are offering a special 10% discount ). 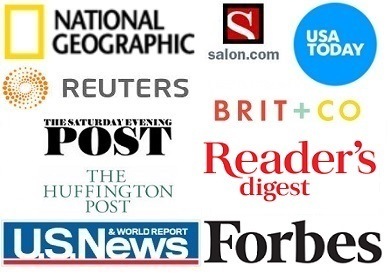 Some links may be affiliate links, which means we may earn a few pennies, at no additional cost to you.